Biden: 'No Obvious Reason' He Shouldn't Run For President : The Two-Way "That doesn't mean I'm the only guy that can do it," the vice president tells CNN. "But if no one else, I think, can, and I think I can, then I'd run." He's far behind former Secretary of State Hillary Clinton in a recent poll of Democrats. 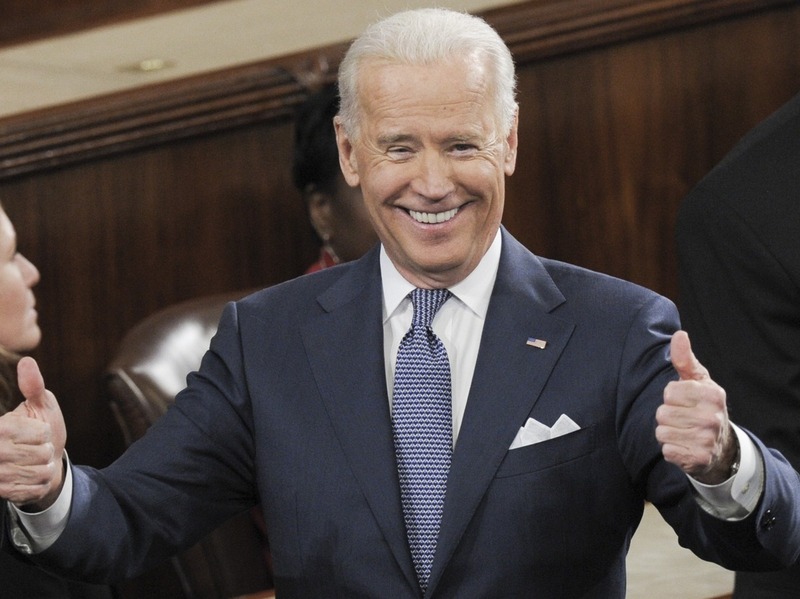 Biden said he'll decide by summer 2015. He's far behind former Secretary of State Hillary Clinton in a recent poll of Democrats, but Vice President Joe Biden tells CNN that "there's no obvious reason" why he shouldn't seek his party's 2016 presidential nomination.
" 'There may be reasons I don't run, but there's no obvious reason for me why I think I should not run,' he said in the interview with Kate Bolduan on CNN's New Day.
" 'That doesn't mean I'm the only guy that can do it,' he said. 'But if no one else, I think, can, and I think I can, then I'd run. If I don't, I won't.' "
For ongoing coverage of the vice president and other politicians, check It's All Politics.